Snarky Geeks Episode 127 - ...LLAP! 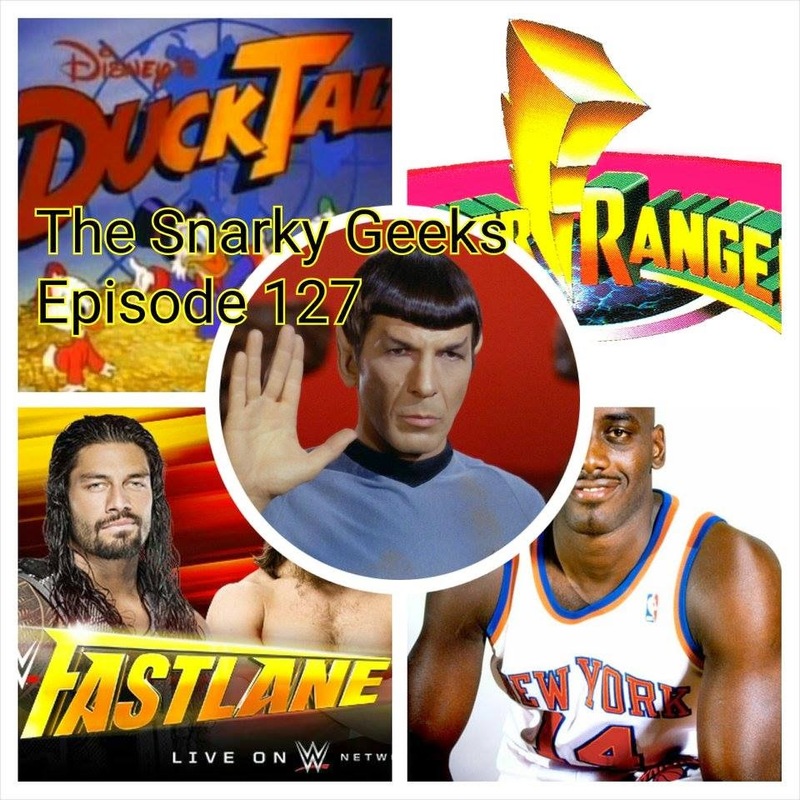 The Snarks mourns the lost of icon Leonard Nimoy, Star Trek, In Search of..., As well as basketball player Anthony Mason, Then they pick things up with wrassling talk, Fastlane PPV results, More predictions on how Wrestlemania ia shaping out, Geekology, thoughts on the Power/Rangers short film, JDF, Ducktales returns!, plus the Sorry-List and much more! ... You really have to listen to the whole show!